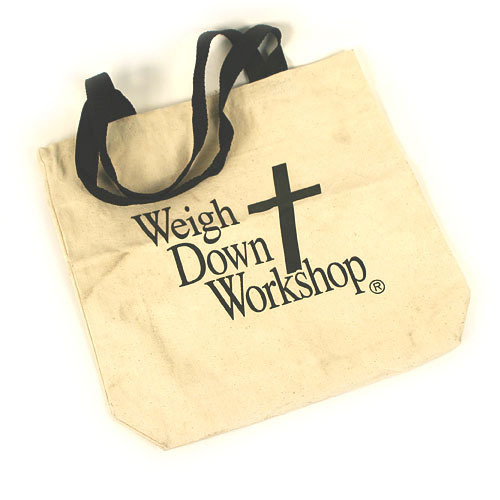 This white canvas tote bag with black lettering "The Weigh Down Workshop" looks great with everything and can even be used for evangelism. Remember black and white goes with everything! Can hold all your class materials or be used to keep extra materials in your car with you always! !